Today, I'm going to talk about one of the most exciting makeup launches this year - Rimmel's new lipstick, 'The Only One'. 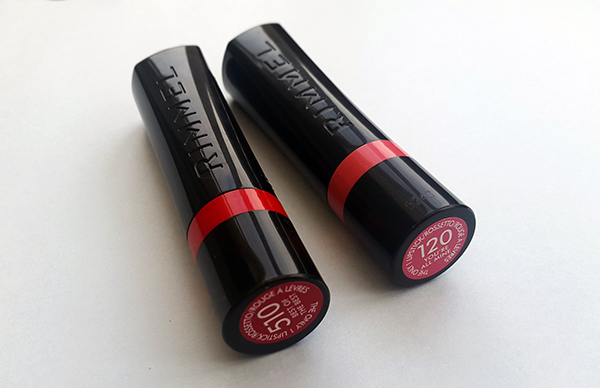 This is an entirely new formula from Rimmel, which promises to be 'the only lipstick you'll ever need', and provide 'long lasting colour, comfort, moisture and wear'. 'The Only One' lipstick comes in a wide variety of shades, including a lot of pretty pinks and bold reds, which should be perfect for autumn. I will be swatching two of those shades - The Best of The Best - a very promising red; and You're All Mine - a vibrant-looking pink. Admittedly, I wasn't too impressed with the packaging. It looks very modern and sleek, with an unusual, pointy cap. Personally, I prefer more 'traditional' lipstick packaging, but this one isn't too bad considering the low price (£6.99 RRP). It definitely looks more expensive and high-end than it is. 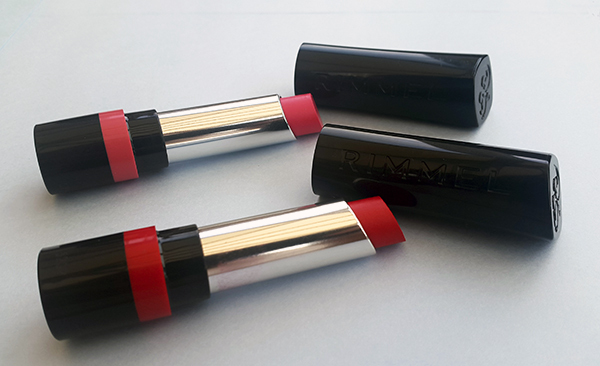 As for the formula, this lipstick is exactly what it claims to be - moisturising, lightweight and comfortable to wear. Honestly, you'll forget you're even wearing it. It goes on quite smoothly, although it's a little difficult to apply evenly because of the shape. It feels very creamy and buttery on the lips, and it has a pleasant, fresh-fruity scent to it (which might be annoying if you prefer your makeup to be fragrance-free). My lips are constantly dry this time of year, so good moisture is a must, and that's exactly what this lipstick provides. The lasting power is pretty good for a drugstore lipstick - it really 'sticks' to your lips without drying them out. It took about four or five hours of wear before I had to re-apply it, which is a lot better than many other similarly-priced products. I was pleasantly surprised with how pigmented these lipsticks really are - the colours are very saturated, rich, intense; and very true to how they look in the packaging. I'm really impressed with these two, and I'll definitely be trying out more shades from the range. (left) You're All Mine - a very girly, vibrant pink shade with cool undertones, which will brighten up any makeup look. (right) The Best Of The Best - a very juicy, vibrant red. I absolutely love the satin finish and the 'wet' look it gives. Overall, I think that 'The Only One' is a fantastic, budget-friendly lipstick, and I'd recommend it to anyone who wants a quality product without having to spend a fortune. It's long-lasting, nicely pigmented, lightweight and moisturising. The only weak point for me is the packaging, but overall I'd give this lipstick 9/10. Have you tried 'The Only One' lipstick? 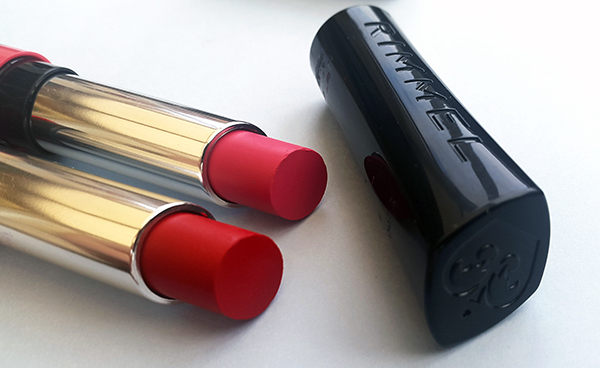 What is your favourite lipstick at the moment? Ooo love these shades! I'll have to try them some time! My fav is Maybelline lipbutter right now but I'm starting to look for new ones to try as these are getting old.